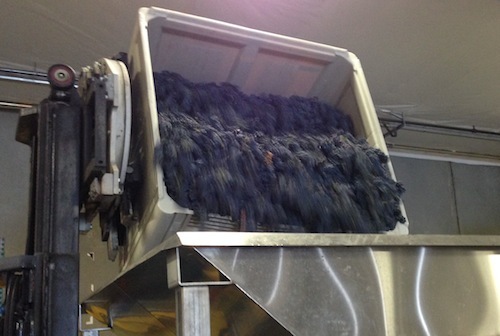 RICHLAND, Wash. – Washington’s 2014 wine grape harvest is under way. Paul Champoux, one of Washington’s top grape growers, led off the state’s harvest season by bringing in 1.6 tons of Marquette. 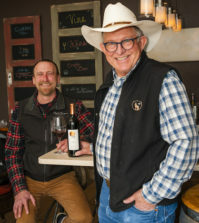 He delivered the grapes from his famed vineyard in the southern Horse Heaven Hills to Fidelitas Wines‘ production facility in Richland. The unusual red wine grape was developed in Minnesota to handle the harsh winters of northern climes, said Thomas Henick-Kling, director of viticulture and enology for Washington State University in Richland. Champoux planted a half-acre of Marquette in 2011 on a lark. He attended Marquette High School in Yakima, and when he saw the grape in a catalog, he couldn’t resist putting a bit in the ground. Last year, Champoux harvested about 800 pounds of Marquette – enough to fill a small barrel – on Aug. 19, one day later than this year. Fidelitas owner/winemaker Charlie Hoppes described the resulting wine as tasting a bit like Red Delicious apples. The 2014 version seems to be quite a bit more interesting, Champoux said. 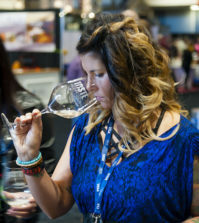 “The flavors are a lot more developed this year,” Champoux said as the grapes were being crushed. Marquette is considered a French hybrid, a grape developed from various grapes – both European and North American varieties, including Pinot Noir and Frontenac. Henick-Kling said he first worked with Marquette when he was a professor and researcher at Cornell University in Geneva, N.Y.
Henick-Kling and other researchers have been following Champoux’s work with the variety with great interest. Henick-Kling said Marquette is not a grape to grow in Western Washington, even though it’s an early ripener. Champoux confirmed that. He said bud break occurred in late March, about a week earlier than his mainstream varieties. 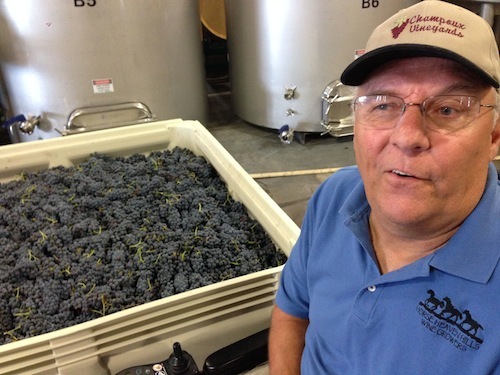 He said the Marquette was well into veraison – when wine grapes begin to change color – on July 4. That’s roughly two weeks earlier than he was seeing it in other grapes. 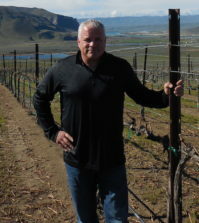 Mike Sauer, owner of Red Willow Vineyard in the western Yakima Valley, also planted a bit of Marquette in 2012, primarily as an experiment. 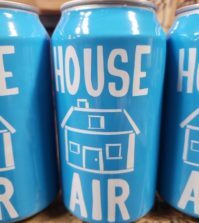 Henick-Kling said a region that gets cold winters and hot summers would be ideal for experimenting with Marquette. He thought areas such as Spokane or Omak could be ideal. In New York, researchers were working on regions such as Lake Placid. For Champoux, it’s simply a fun project. His crew spent about two hours hand-picking the grapes Monday morning. Ultimately, the wine will likely go to researchers as well as high school buddies. However, if the 2014 wine turns out as well as he thinks it might, then he might just see about releasing it commercially.